This can be attributed to patriarchy that has prevailed in the society for ages now. However, with time, things have seen a marked change. More women are getting involved in mainstream business these days and are taking rapid strides in every walk of life. The number of women investing in various products has reduced considerably over the years. This can be attributed to patriarchy that has prevailed in the society for ages now. However, with time, things have seen a marked change. More women are getting involved in mainstream business these days and are taking rapid strides in every walk of life. They are matching their male counterpart and are now equals and not a so-called vulnerable side of society. 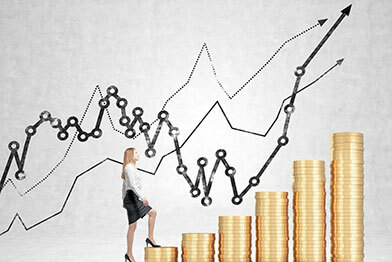 Here are some reasons why women can make a good investor. Investment is natural to women: Women are generally seen as less spontaneous and therefore are more likely to wriggle out of a scenario; they possess the ability to take a clear view of a scenario and make an objective decision. Women like to share their experiences with peers and thus are more likely to admit their errors and learn from them. So, your wife or daughter could get you better returns. Make use of their expertise and multi-tasking skills. Women, be it a homemaker or the one who works for a corporate, have the ability to do well in every walk of life. Take a second opinion; start from your home: Men invest with objectives of attaining family goals such as purchasing property, ensuring sound education for children, and preparing for retirement. Keeping this in mind, women will definitely make better investors since they have a nurturing instinct and good awareness. Previously women perceived investment ventures as speculative male dominated adventures and thus participation was low. The nurturing instinct in women helps them understand and guard against the hazards of inflation and combat the effects of taxation. Women are good at mobilizing capital: Self-help groups are synonymous with women. Social networks now enable women to meet financial challenges as a group; women would bring a refreshing tide to the world of investment. Women investors are now making their presence felt; there are several role models from whom women and in fact all of us can draw inspiration from. Population demographic information reveals that close to half the population of India consists of women. What this means is that sectors dominated by men operate at only half their capacity. It is all a win-win for everyone if women participation increases. To conclude, I say with a sense of pride that India has had a female PM but the US, which is the oldest democracy in the world is yet to have one. Indira Gandhi’s contribution to India should not be viewed from the prism of politics. As a woman, in a male dominated Indian society, her achievements have to be commended and appreciated.